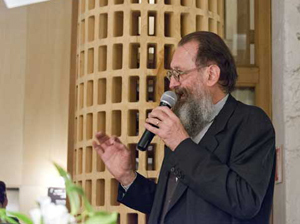 A big honour for the Italian icon: Michele de Lucchi is A&W designer of the year 2015! Being A&W designer of the year is a big honour of the world of design. All the winners are big names and de Lucchi is now named in one phrase together with Achille Castiglioni, Philippe Starck, Ross Lovegrove, Konstantin Grcic, Ronan & Erwan Bouroullec and more famous designers. After chosing younger designers in the past years, among them Werner Aisslinger, Ronan & Erwan Bouroullec and Patricia Urquiola, Michele de Lucchi completes the list as a real design icon. The career of the 1951 born designer already started in the 70s, when he studied architecture in Florence, where he founded the group “Cavart”, who represented radical design. Then “Alchymia” emerged and de Lucchi became famous in 1980/81 when he founded the Memphis Design Movement with Ettore Sottsass – a movement based on Alchymia, breaking the rules of pure functionalism, provoking with colourful and abstract designs. The Italian founded his own „Studio de Lucchi“ in 1988, but he continued working on many different areas: He worked as design consultant for Olivetti since 1979, becoming chief designer in 1992. In 1998 he founded the architecture office “amdl”, based in Milan and Rome today. de Lucchi also worked for companies like Kartell, Rosenthal and Artemide. de Lucchi doubtlessly reached most of his success as lamps designer, despite of designing objects for many purposes and also working as an architect. 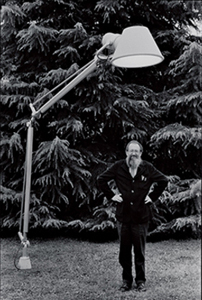 He designed the Tolomeo Collection for Artemide together with Giancarlo Fassina, which is an archetype lamps collection, including uncountable variations and purposes. This collection made him famous. It is timeless since it was first presented in 1987 and it is still current, while some technical modernisations were done, like the implementation of LED lights. Some international design awards were given to Michele de Lucchi, and he is also commissioned officer of the Republic of Italy. Since 2001 he teaches at the Faculty of Design and Arts and he received the title of honoured doctor at the Kingston University in 2006 because of his efforts in home and living quality. The award of the A&W designer of the year 2015 adds another chapter to this history of success. For the Mentors Prize, which is chosen by the designer of the year, de Lucchi nominates the French designer Philippe Nigro. It is expectable that de Lucchi’s works become even more popular wearing this award of the A&W of 2015.